A foundational aspect of any Tag Governance Process must be consideration of any privacy and compliance regulations relevant to an organization. 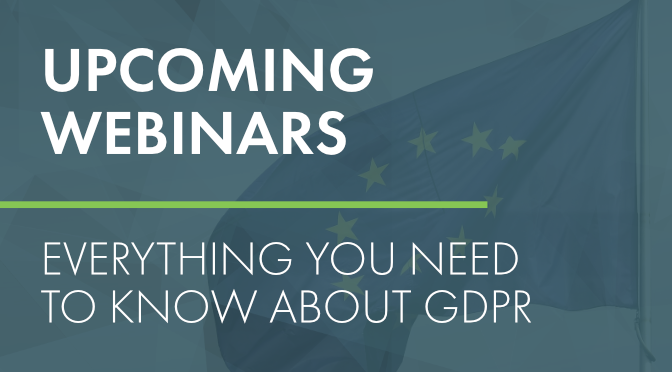 In the past year, we’ve seen GDPR completely change the data collection landscape in the EU and across the globe. As more and more organizations are coming to terms with the new tracking environment, conditional tag execution is becoming more the rule than the exception. 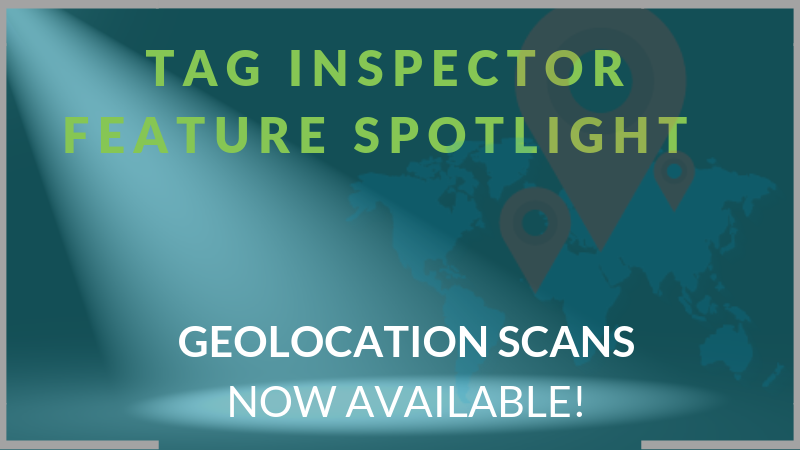 In response to this trend of varying tag behavior based upon the location of the user visiting a website, Tag Inspector is excited to announce the release of new functionality to select a geolocation from which to run Scans! With this option, users are able to define the location from which they would like Scanner traffic to be generated. The effect is the ability to simulate a user that is accessing the site from the US, several locations in the EU, or from Australia. This will identify changes in tag behavior on your site based upon user location and more thoroughly audit tag behavior for site users protected by GDPR. Tag Auditing and Monitoring for GDPR - Scan your domains as if the site is being accessed by a user from France, Germany, or the UK to take the guesswork out of identifying the collection of any Personal Data on your site. Curious where to go once you have the Scan results? Check out our guide to auditing your website tags for GDPR here. Test the Implementation of a Consent Management Solution - Use a combination of the GeoLocation Scan Options and our Cookie/Tracking Consent Options to ensure the Consent Management Solution on your site is blocking tags from loading as expected. Having a Policy and solution for GDPR is great, but it must be working to be compliant. Test Conditional Loading of Tags on a US site - A conservative solution being used by some clients is to block tags from loading for EU users on their US sites. The implementation of this is reliant on accurately identifying the Country of Origin for traffic and the proper configuration of tags to not execute when the traffic is originated from the EU. Run Scans simulating this behavior to test and monitor the configuration of tags in this scenario. With a Premium License of Tag Inspector, you will see a new option to select the Scan Region in Step 2 of creating a new Scan. Auditing and monitoring tags for GDPR and regional-specific privacy requirements are now made easier with Tag Inspector. Scan sites as a user from the EU to ensure your Governance Policy is properly implemented and working. Questions about the creation of a Policy or how to monitor? Let us know here, we’re happy to apply our experience working with over 6,000 websites globally to help in your situation.